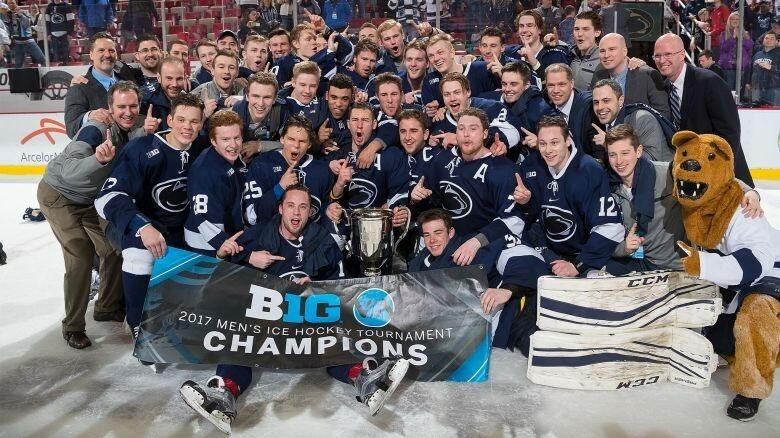 Join us this Saturday at 7:30 p.m. to cheer on our Nittany Lions as they face Notre Dame for the Big 10 men’s hockey championship. We’ll meet at the Carolina Ale House, corner of Rt. 17 Bypass and 29th Ave. north. Our team has had an awesome year and is poised to take the championship before getting a bid to the NCAA Frozen Four tournament. Please RSVP to Charlie Glazer at ctgprguy@hotmail.com so we save enough seats.